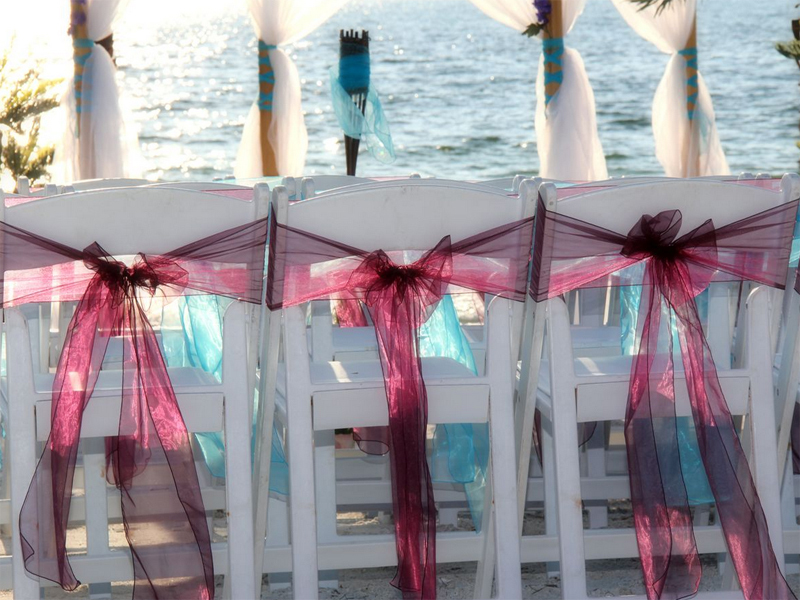 If you want to make a statement and love drama, these styles are for you: vibrant, bold, sharp and striking! 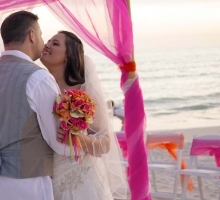 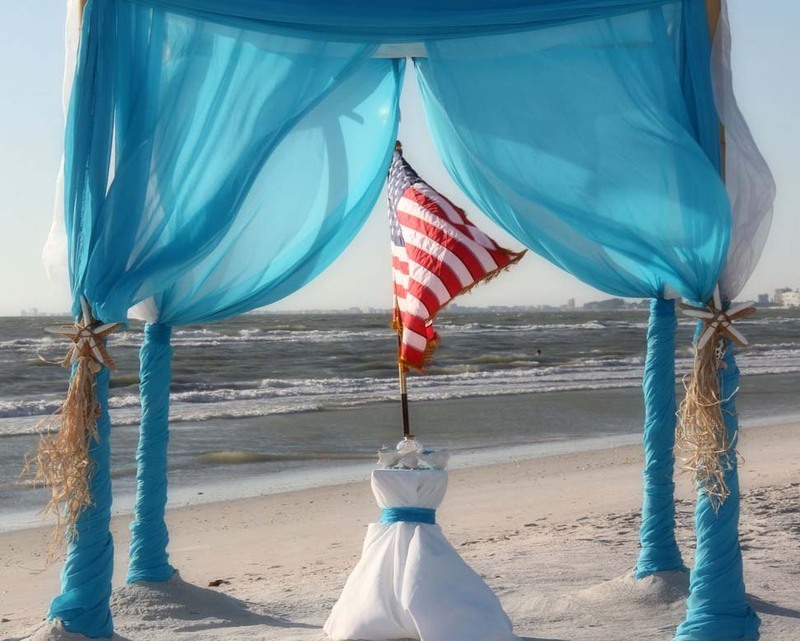 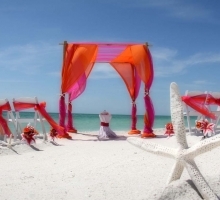 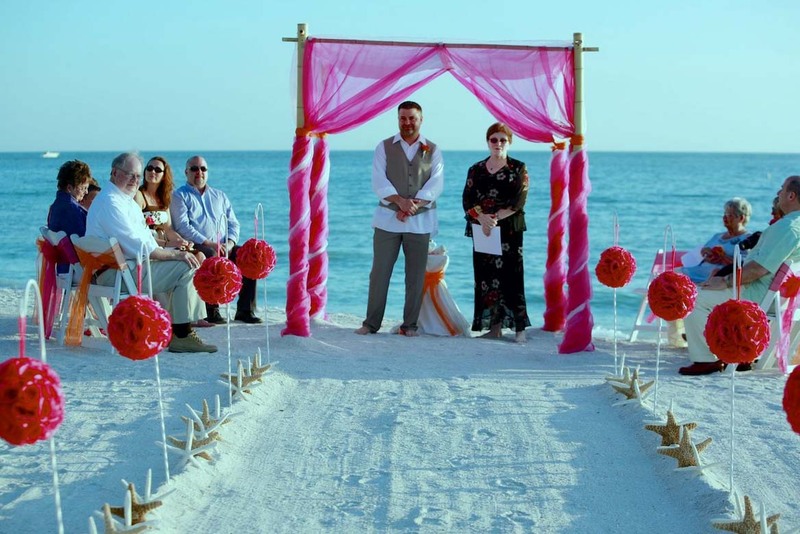 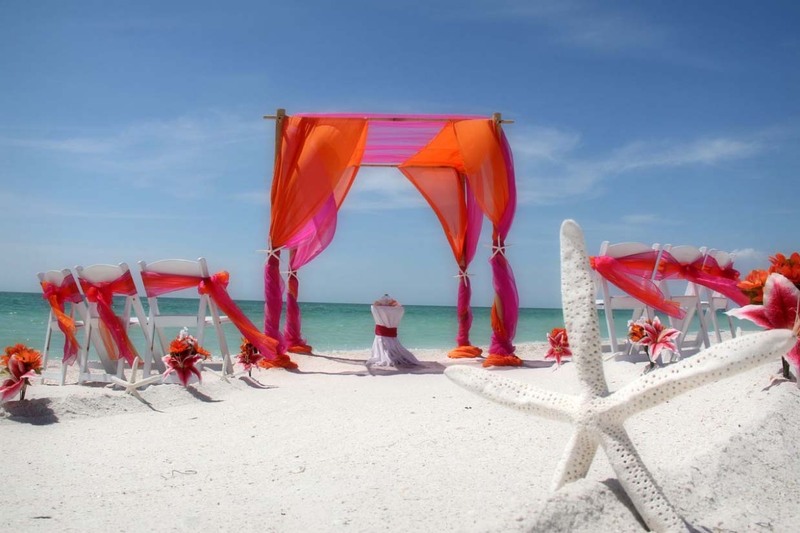 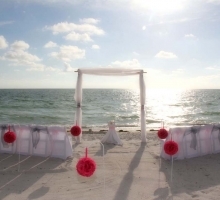 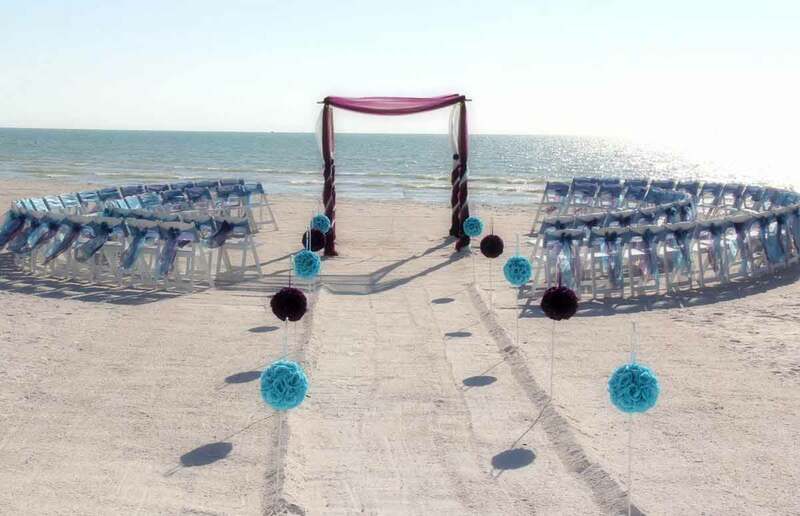 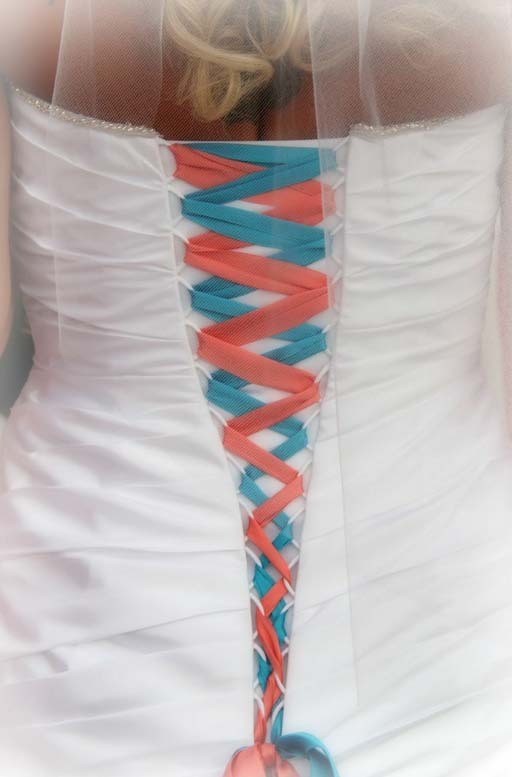 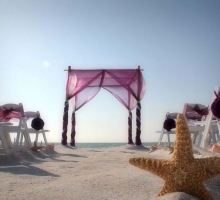 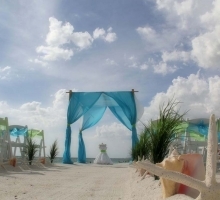 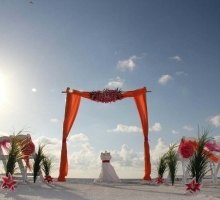 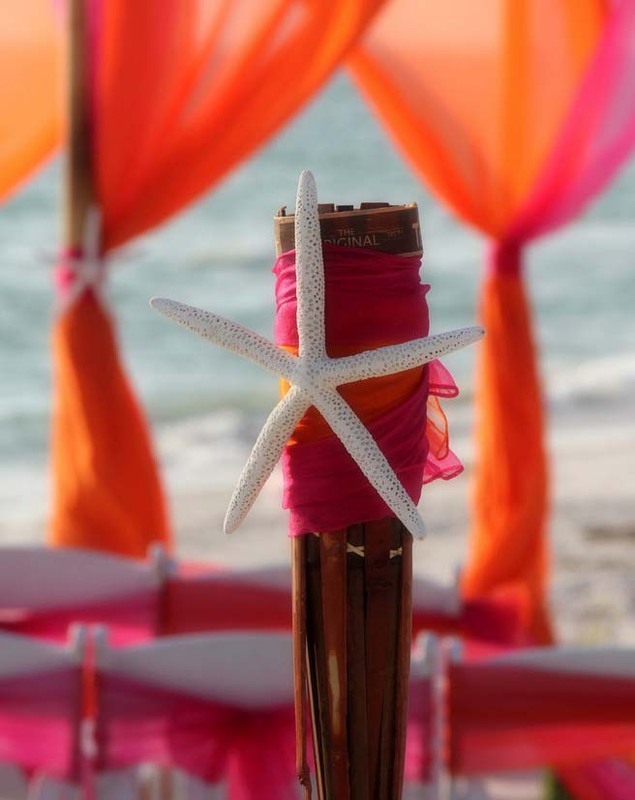 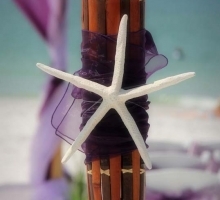 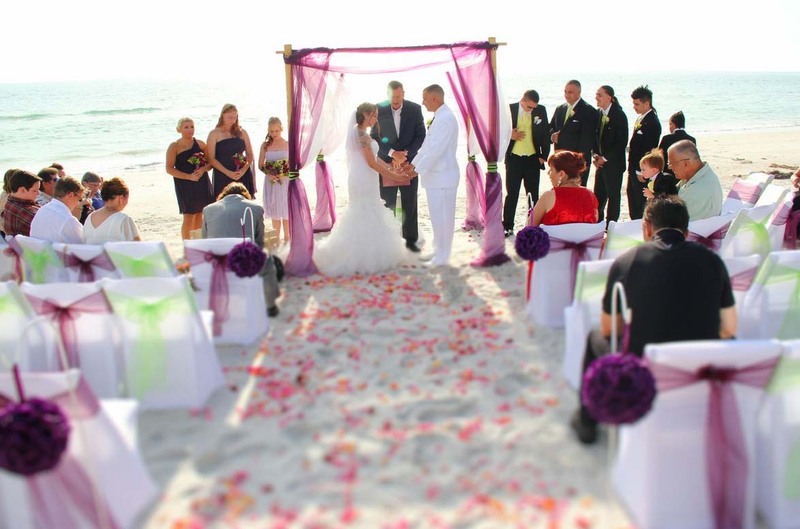 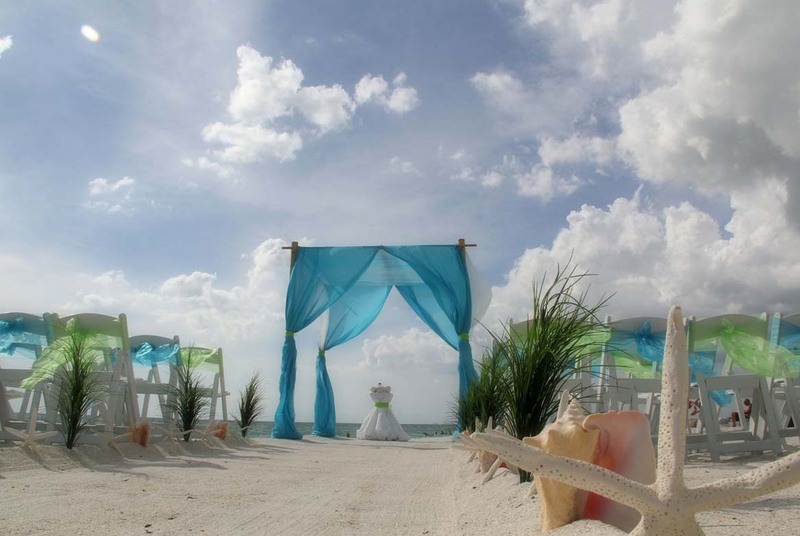 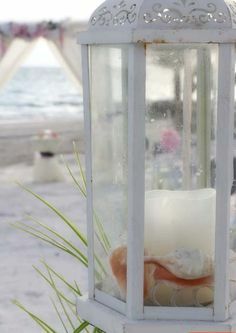 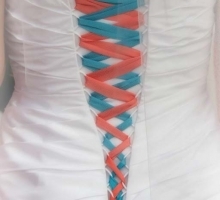 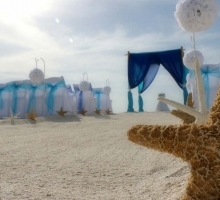 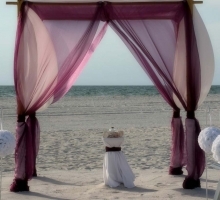 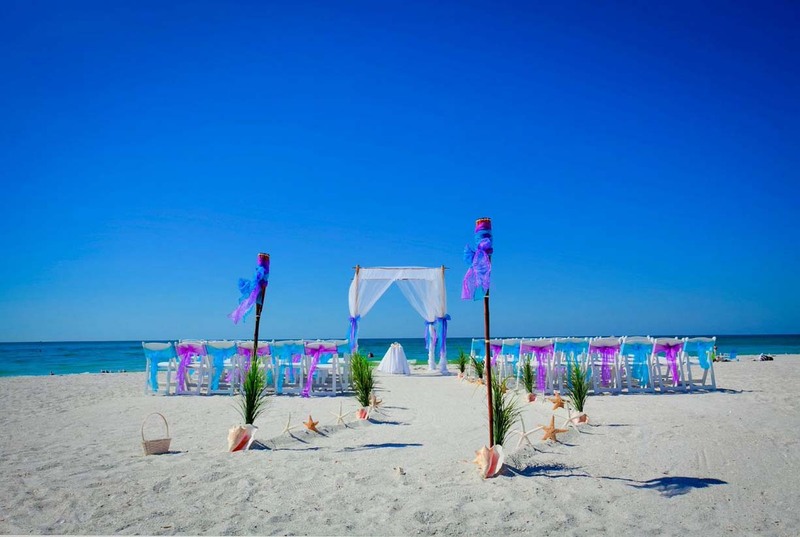 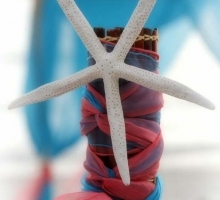 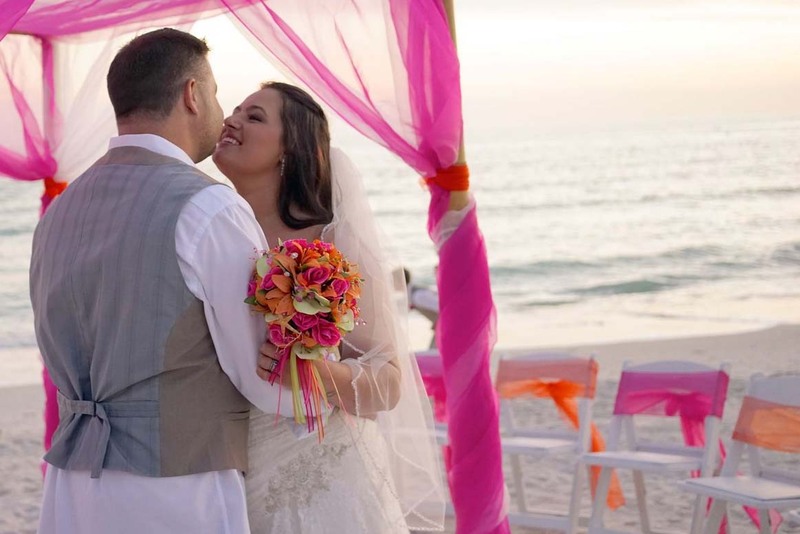 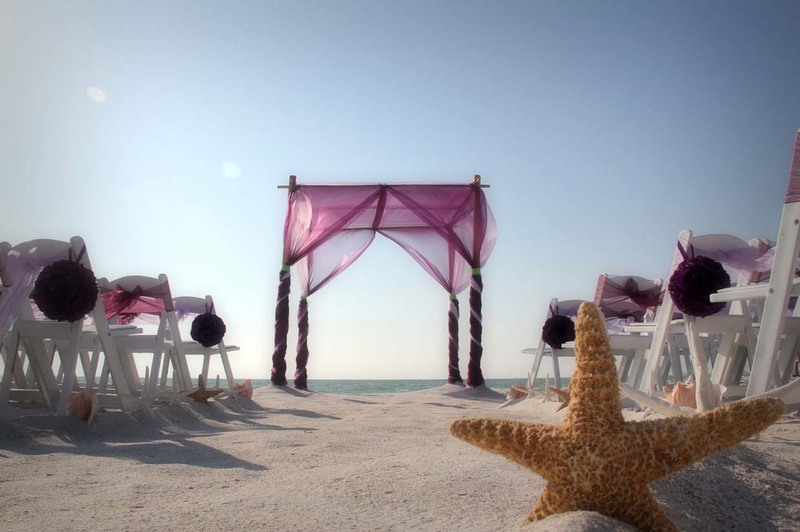 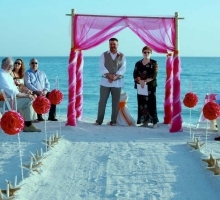 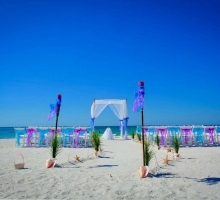 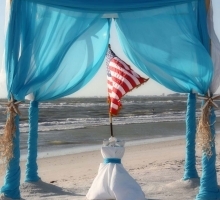 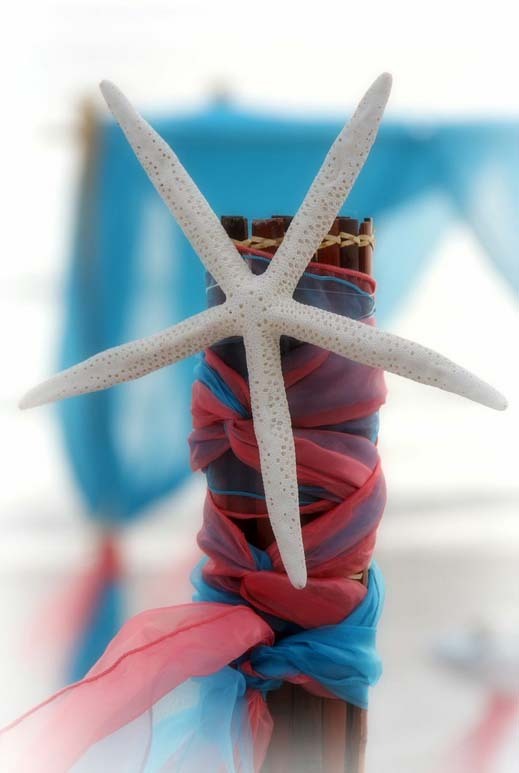 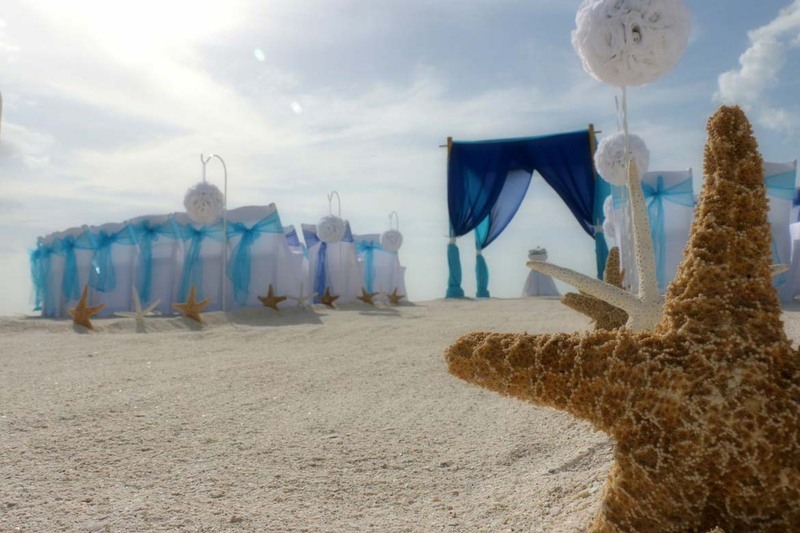 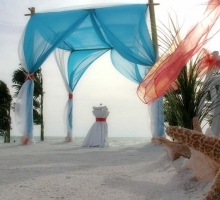 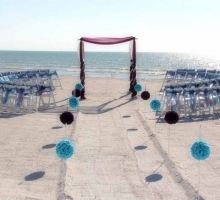 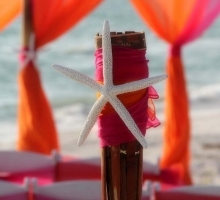 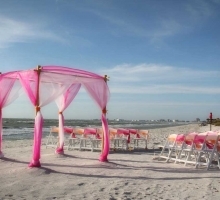 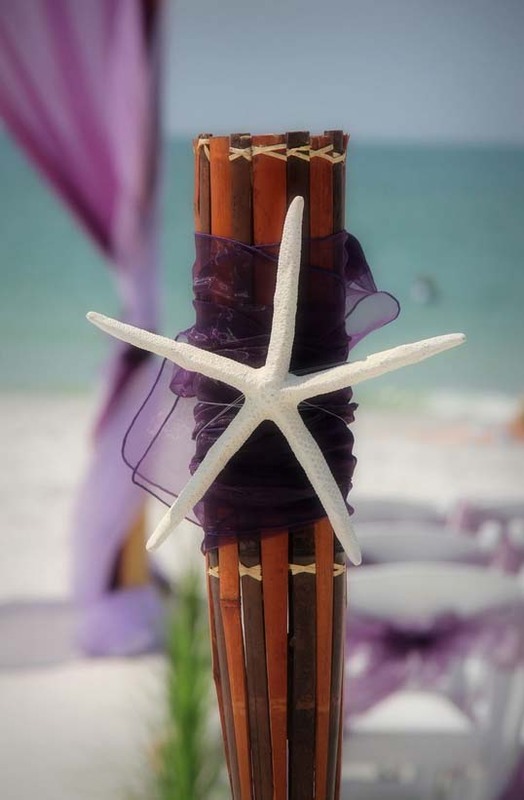 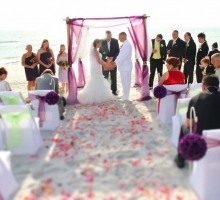 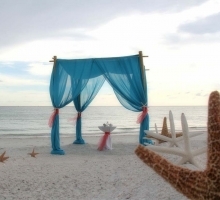 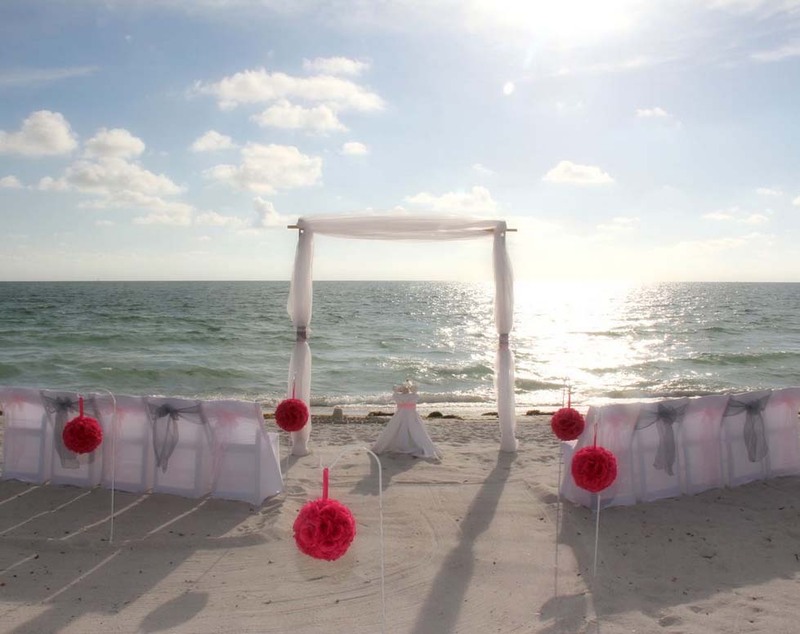 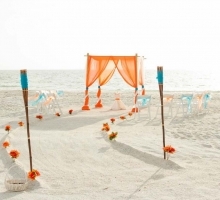 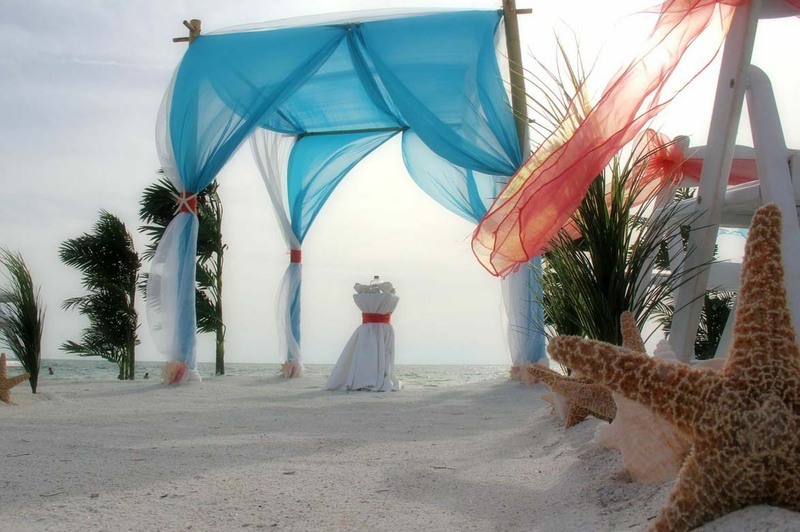 Take a theme and run with it to make your Florida beach wedding or vow renewal uniquely yours - vibrant and unforgettable. 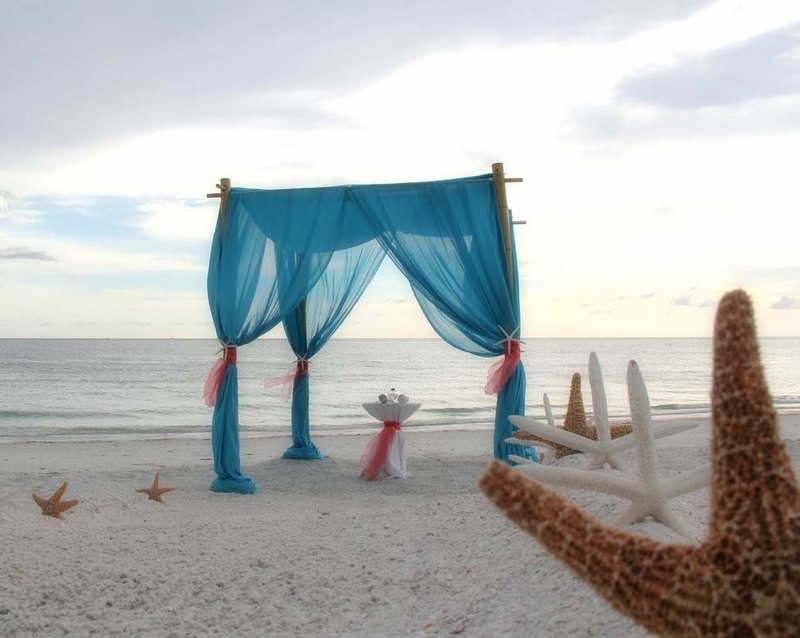 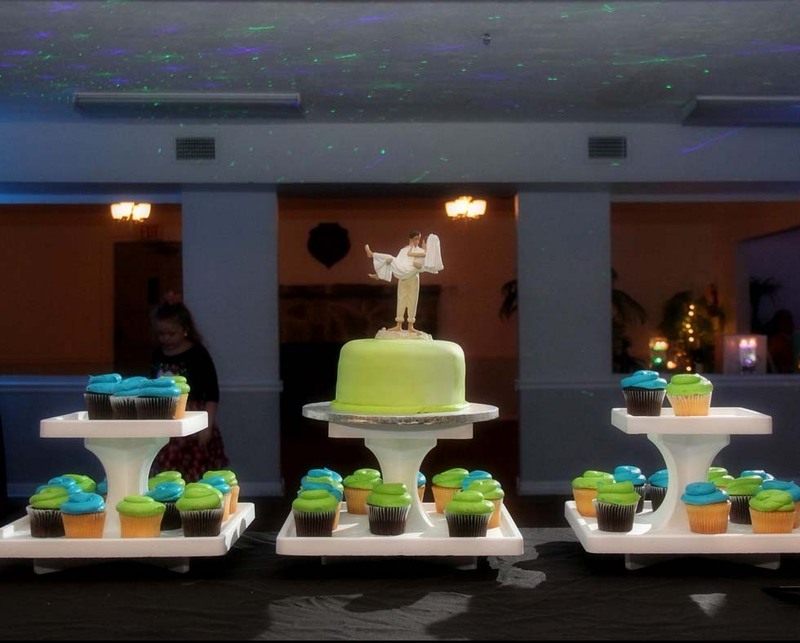 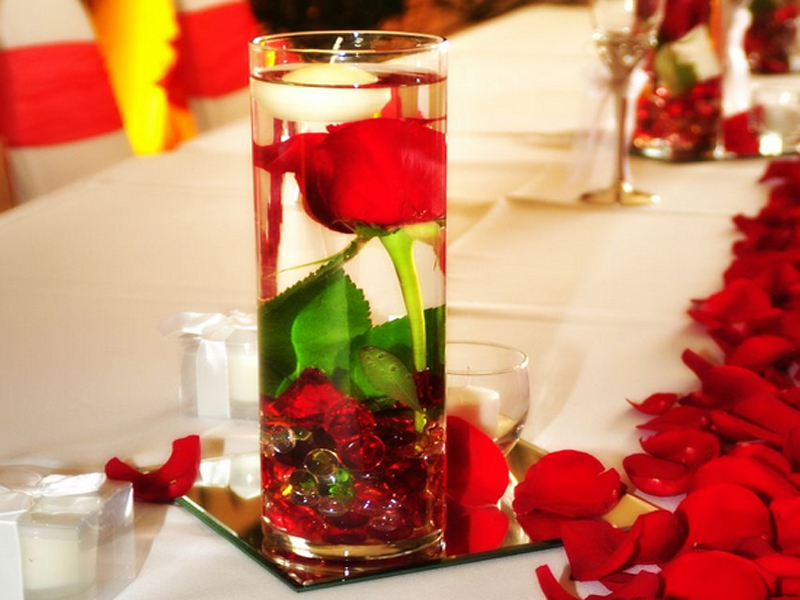 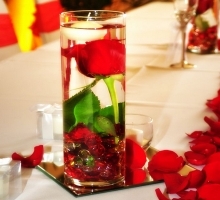 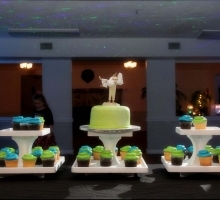 Suncoast Weddings are all about giving you choices ... we can take your dreams and turn them into reality. 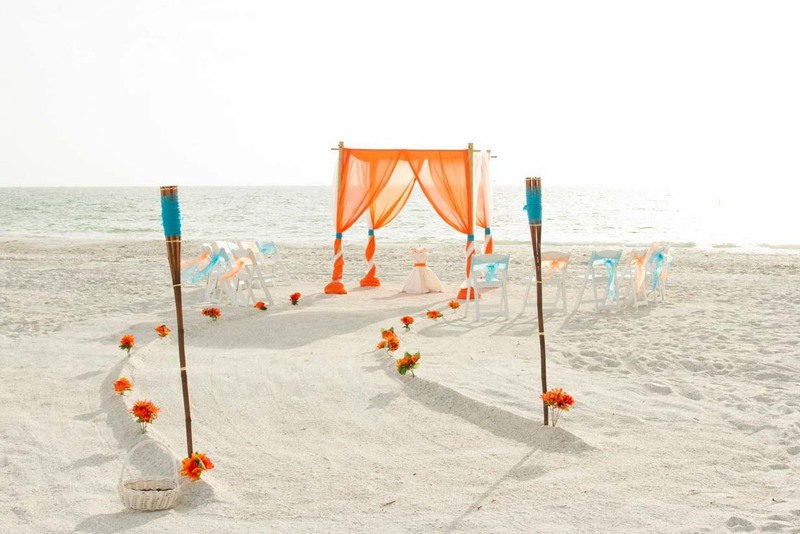 The days of plain colors and limited options are gone - team electric blue with bright green grass accents or take a stunning orange chiffon to drape and billow on a soft Florida breeze. 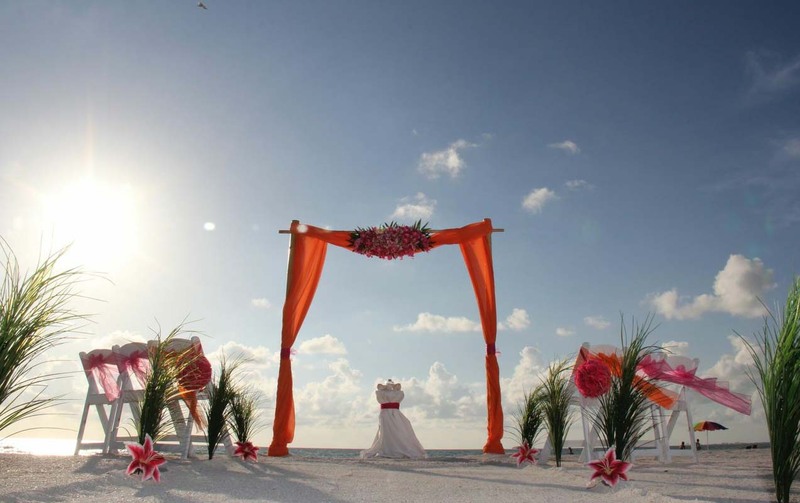 For simply beautiful album shots, take the colors you love and surround yourself with them on this special day. 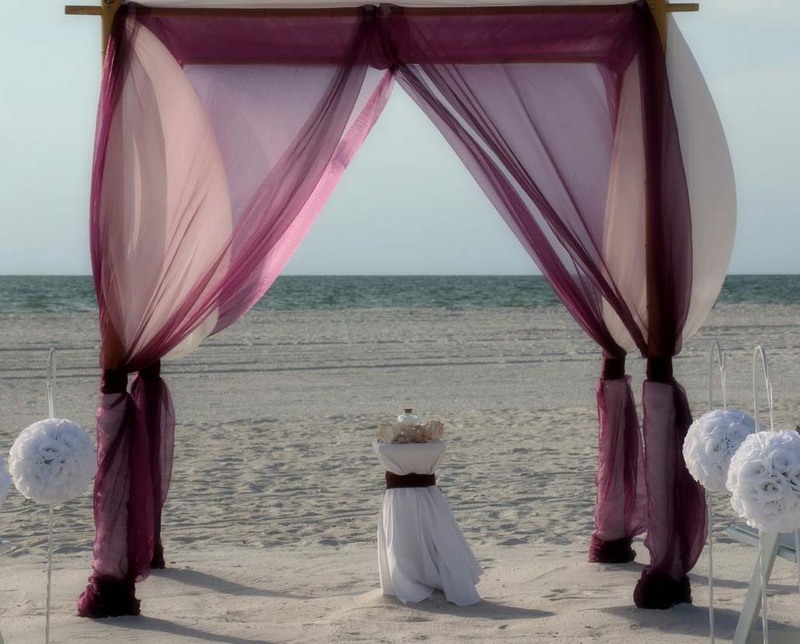 Choose one striking tone or pull from a whole family of colors - for instance, take a bold eggplant chiffon or play with sashes and drapes in purple tones like lilac, lavender, purple and violet. 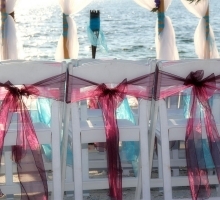 Alternate sashes on chairs or layer drapes to create exactly the look you are looking for. 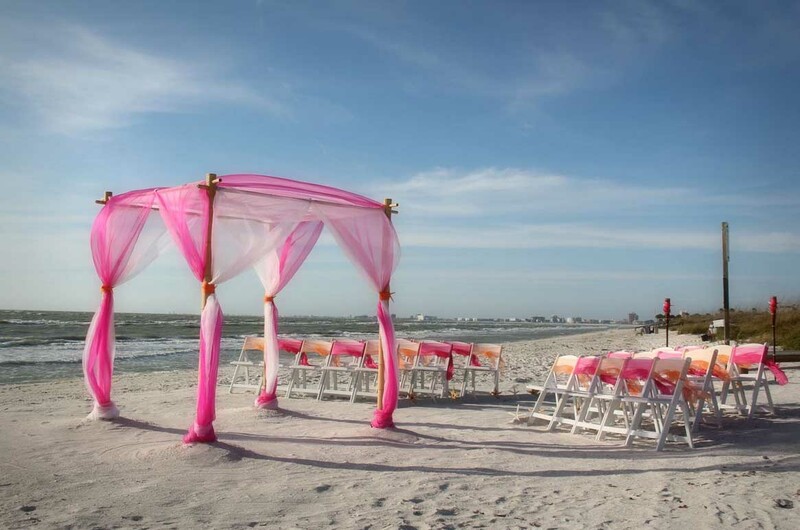 We have a wide variety of colors - one of our favorites for the chairs is watermelon which seems to shimmer in the sunlight, almost changing color as the breeze shifts.